Mumbai, December, 2014: Acrysil Limited, one of the leading quartz and stainless steel kitchen sink manufacturing and trading companies, has acquired 74% stake in U.K. based kitchen sink distribution company, Homestyle Products Ltd., for Rs.20.50 crores. The acquisition has been made by Acrysil UK Ltd., Acrysil’s wholly owned subsidiary in the U.K.
Homestyle Products Ltd. is in business of importing and marketing kitchen sinks principally in the U.K. market. It also deals in faucets and allied products to provide holistic solutions to its customers. The Company achieved a turnover of £2.35 million (approx INR 23 Crores) with EBITDA of £0.54 million (approx INR 5.3 Crores) for the year ended 30 June 2014. This investment will mark the entry of Acrysil into the premium U.K. market for kitchen sinks and accessories. Acrysil presently exports its products to more than 35 countries worldwide including USA, France, Germany, Russia and countries in the Far East and Middle East. In FY14, exports accounted for nearly 74% of Acrysil’s turnover. Apart from kitchen sinks, which include composite quartz granite sinks and stainless steel sinks, Acrysil also deals in kitchen built-in appliances and faucets. Acrysil owns the “CARYSIL” brand which is well established in the Indian and several overseas markets. The acquisition will give a tremendous boost to Acrysil’s business on account of the multiple opportunities that it opens up for the company. To start with, Acrysil’s granite and stainless steel sinks will now have a ready market in the U.K. as the entire Homestyle Products’ requirement of these products would be gradually transferred to Acrysil. This will also enable Acrysil to rapidly maximize capacity utilization of its expanded stainless steel sinks facility. 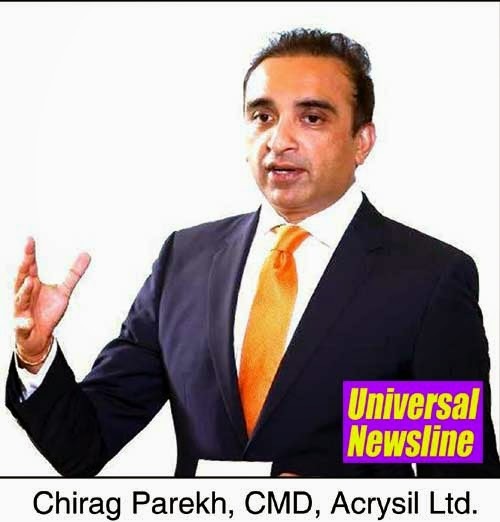 Going forward, Acrysil plans to use the Homestyle Products’ marketing network to introduce other items from its bouquet of products like kitchen chimneys and cook tops in the U.K. market. Acrysil will also leverage Homestyle Products’ platform to cater to the European market and accelerate growth of its exports to Europe. The acquisition agreement which was signed by Acrysil Ltd., Acrysil UK Ltd., and the shareholders of Homestyle Products Ltd., provides that Acrysil UK Ltd. will purchase the remaining 26% of the share capital in Homestyle Products over a period of three years. The transaction has been funded through internal accruals and debt. Deloitte Touche Tohmatsu India Pvt. Ltd. and CMS Cameron McKenna LLP acted as transaction advisor & legal advisor respectively to Acrysil Limited; whereas Dow Schofield Watts Corporate Finance Ltd. and Squire Patton Boggs (U.K.) LLP acted as transaction advisor & legal advisor respectively to the shareholders of Homestyle Products.